There’s so much to love in the interiors world right now, and one of the best things about the industry at this time of year is that we get to stand back and appreciate it all. With highlights including 100% Design and London Design Festival on the calendar, it feels timely to put together this particularly design-focussed issue. 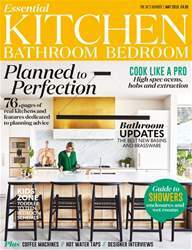 We are featuring everything from an interview with up-and-coming textile designer Tori Murphy (page 96) to our ultimate Bedroom Hot List on all that’s exciting and new right now in hotel design and our pick of the best new furniture and fabrics available now (page 178 onwards). When it comes to thinking about our own spaces, what do we take from all of the innovative design around us? Probably so much more than we even realise. We are lucky to live in such a design-rich environment, and whether it’s the ideas you pick up when walking through a beautifully thought-out public space, like the atrium of a museum, a church or the gardens of a favourite city park, or the little details we see, such as the handles on the doors of a new restaurant or the tiles on the floor of a train station, we’re soaking up inspiration everywhere we go. Designers themselves are often the ultimate source of ideas of course, and this issue we were lucky enough to get behind the scenes with two architect homeowners. 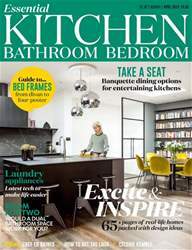 You can read about Milan-based architect Mia Buzzi who turned the bones of a cement factory into a wonderfully spacious and light-filled family home in Industrial Evolution (page 40). 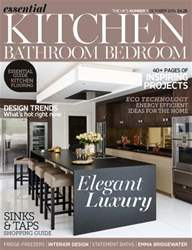 See how Silvia Alacantra redesigned her homely London townhouse in Lines of Beauty (page 62) for an uplifting space. 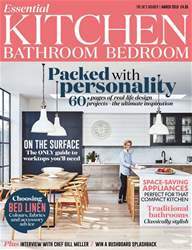 We also take an in-depth look at two beautiful country kitchen and bathroom schemes by interior architect Pippa Paton – see page 72 and page 144. We hope you find this issue as inspiring to read as we did to put together.